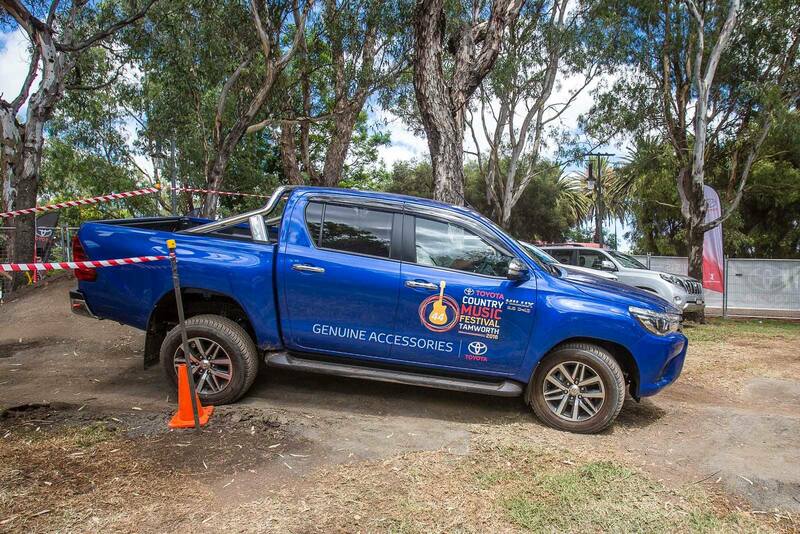 The Toyota 4x4 Drive Track Experience has become a real crowd pleaser amongst 4x4 fans during the past few Festivals. Now it’s been taken up a few notches with an exciting addition that will add a new level of thrills to the whole Toyota off road experience. Toyota’s 4x4 ‘Monster Trailer’ will give you a bird’s eye view of Kable Avenue and the Park while you test out Toyota’s latest SUV’s. The Toyota team, has expanded the track with more hills, leans, obstacles and tricks to really show how Toyota handles the rough and tough stuff with comfort, safety and ease. You’ll not only have a chance to test out the headline-making HiLux, but you could be one of the first to drive the latest top-selling LandCruiser 70 series. There will also be the Fortuner, Land Cruiser Prado and LandCruiser 200 models to test out. A team of highly experienced 4x4 instructors will be on hand to take you for a drive and answer any questions you have on the new models or your own Toyota. It’s a great way to get more out of your SUV. You’ll also be able to talk to experts about the latest Toyota Genuine Accessories range. So mark the dates in your daily calendar and make sure you come down and experience our own Bridge Climb. From Friday 18th to Saturday 26th January 2019 the Toyota 4x4 Drive Track Experience will be open from 10am-5pm daily. It’s in Toyota Park on Kable Avenue just down from Peel Street. You can’t miss it.